Although it is hard to identify all of the contours of the false teaching that Timothy was called to fight in Ephesus, we can be certain that the need of the hour was urgent. 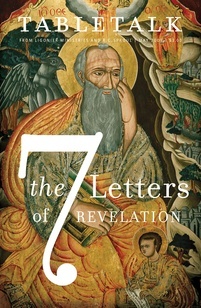 Paul normally opens his letters with a thanksgiving for the faith of his readers (Rom. 1:8) or for the grace given them in Christ (1 Cor. 1:4–9), or he pronounces a word of blessing (2 Cor. 1:3–11), but 1 Timothy does not begin in this manner. Galatians and Titus are the only other letters of Paul without an opening benediction on the audience, and both of these epistles deal with urgent matters as well. We have seen the Judaizing peril the Galatian churches faced, and in the months ahead we will examine Titus’ difficult situation. That 1 Timothy, like Galatians and Titus, has no expression of thanks in the opening lines of the text demonstrates the severe problems Timothy confronted. Whatever Timothy’s opponents were saying, Paul makes it clear what they were not teaching — “love that issues from a pure heart and a good conscience and a sincere faith” (1 Tim. 1:5). This love is the goal of all godly teaching. Whether learning about our Creator’s attributes that we might adore Him better, or focusing on Scripture’s teaching about the poor in order to alleviate their suffering, our charge is to help people learn to love God and neighbor. Instead of isolating genealogies in the Torah and building fanciful theories about them, the false teachers should have been focusing on love, which sums up the Mosaic law (Deut. 6:4–5; Matt. 22:34–40). Augustine says, “Whoever…thinks that he understands the divine Scriptures or any part of them so that it does not build the double love of God and of our neighbor does not understand it at all” (Ancient Christian Commentary on Scripture, NT vol. 9, p. 133; hereafter ACCNT). Such love springs from a “pure heart,” one made new in regeneration and continuously cleansed through confession of sin and repentance (1 John 1:8–9). A “good conscience,” one sensitive to the truths of God because it has learned to rightly handle His Word (2 Tim. 2:15), is also needed to produce such love. Finally, Paul reveals, holy love comes from a “sincere faith,” an authentic trust in Jesus that reveals itself both in word and in deed (James 2:14–26). What is your goal when you sit under biblical teaching? Is it to be equipped with knowledge for the sake of knowledge, or do you hope that your learning will make you more loving to God and neighbor? We are no better than the false teachers who were in Ephesus if we are not using the instruction we receive to serve the Lord and other people. As you study Scripture, always ask yourself what the passage is telling you about loving God and neighbor.